As an investor, understanding what investment bubbles are, what they mean, and how they may impact you is helpful so that you can make smart financial decisions and resist the urge to react emotionally to the markets. Investment bubbles morph into different sizes and trajectories with most staying under the radar of global headlines and away from 401(k) and IRA balances. 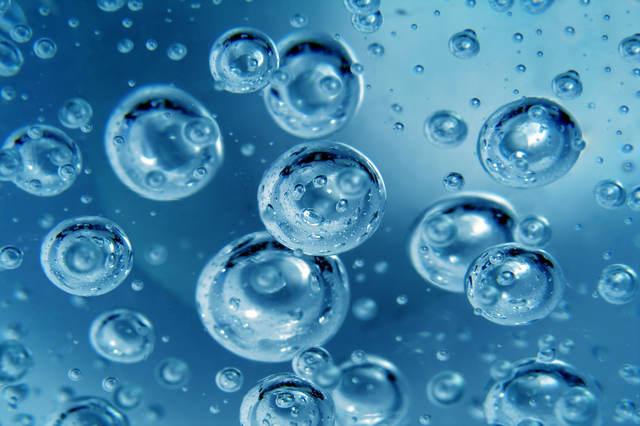 However, some bubbles have snowballed to involve many market participants whether intentional or not. These larger scale bubbles that have affected investors in the past include the Dot Com bubble in the late 1990s and Japan’s stock and real estate market in the late 1980s. It’s hard to believe that by 1989, the land underneath Tokyo’s Imperial Palace was estimated to be worth more than California at the time. The bursting of these national or even global bubbles left economies and investment portfolios impaired for some time. Warren Buffett also says, “Be fearful when others are greedy and greedy when others are fearful.” You have to actively work against your knee-jerk reaction to information in order to make objective and sound investment decisions. The second characteristic that investment bubbles have in common is technology. 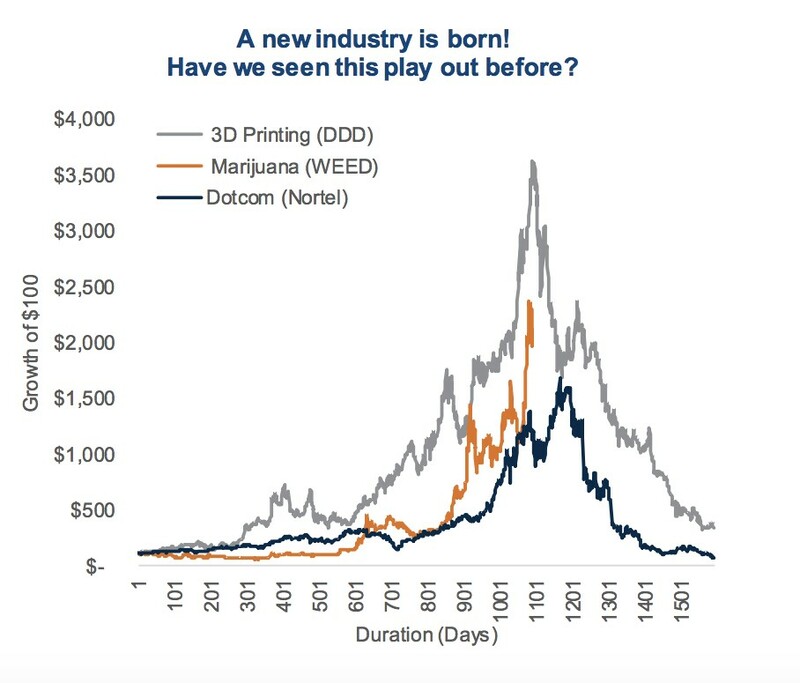 In most investment bubbles, the underlying business concept involving technology and its outlook is legitimate, whether it’s legalized medicinal marijuana, solar energy, block chain, or 3D printing. These startup businesses are centered on a disruptive technology with a seemingly insatiable market demand and addressable market. Heck, even the emerging electric scooter industry has been caught up in an investment stampede by venture capital (yes, we’re talking scooters here). Electric Scooter Start-Ups Worth Billions? In many ways, if it wasn’t for the technology-driven innovation and massive capital flows into the bubbling industry, we wouldn’t have the standard of living and life-changing technology we have grown dependent on today. We would not have our coast-to-coast railway system if it wasn’t for the railway investment mania of the late 1800s. During this mania, well over two-thirds of all railroads went bankrupt, but the rail system and surviving rail companies became the envy of the world. We also wouldn’t have a highly productive car manufacturing industry that evolved from the horse and carriage if it wasn’t for the auto investment mania in the early 1900s. Back then, over 500 car companies jumped into the car invention and investment craze. Today, the auto industry produces over 17 million cars annually, but only one of the original car companies still exist in its original form and virtually all the original car investment capital has been destroyed. Up, Up & Away Or Up In Smoke? Today, innovation and technology are behind surging interest in Bitcoin and the legalization of marijuana. These investment areas are benefitting from easy access to money, changes in regulation and rampant public speculation. In 2017, when Bitcoin rose 1,400% (down 65% YTD) it had all of the ingredients to drive the investment stampede. Now, similarities are happening in the marijuana industry as regulation is changing, access to capital is plentiful, and market speculation is surging. I confess that while I do not know a lot about the future of the marijuana industry including regulatory, US Government oversight, and mass adoption by food, beverage, and healthcare companies. Nor do I know a lot about Bitcoin or block chain technology or worldwide adoption and regulation of cryptocurrencies. I do know that we are all human and, therefore, wired to make decisions that are often emotionally-driven. But there are ways to override our emotional decision-making tendencies. Facts help us to make rational decisions. Therefore, I rely on a three-question approach (shown below) in an attempt to arrive at a sound investment decision for myself and clients, and you can exercise this same approach when making financial decisions. This three-step process to making sound investment decisions can be used for most, if not all, investment manias, be it Bitcoin, marijuana, rare earth commodities, e-scooters, etc. Rely on Proven, Data-Driven Analysis: In other words, do research and get the facts before you make a financial decision. Don’t base your financial decision on a “feeling” or on what you see the masses doing. Attain Unique Insight: In other words, understand what the market may be missing. The allure of investment manias simply boils down to human psychology. The feeling and fear of missing out while friends, family, and co-workers are cashing in on a hot trend is a powerful speculative emotion. Before pursuing crowd-driven speculative investment, aside from the three-step No B.S. guide above, make sure you are well on your way with your investment retirement plan, and college education savings (if applicable). Have a way to measure your investment progress with these plans and confirm they are well-insulated against any speculative losses since these losses can be costly and quick. Importantly, make sure that the pain of regret with a speculative loss is not so great that it takes you off the most important investing path of your retirement. Finally, if you are one of the fortunate few to successfully capitalize on a speculative investment, congratulations and enjoy your winnings with perhaps some chilled bubbly while easy listening to Don Ho.